Enjoy the comfort of modern amenities in the natural surroundings of East Tennessee. Nestled at the foothills of the Great Smoky Mountains the Hampton Inn Dandridge is the ideal lodging solution for business or pleasure. Experience the many outdoor activities the area has to offer. Relax with a quite stroll down main street U.S.A. in historic downtown Dandridge. Family fun awaits with many recreational activities at either Douglas Lake or Cherokee Lake. And don*t forget your golf clubs because the area has several golf courses to choose from. Jump start your day in our fitness center. Enjoy our delicious *On the House* hot breakfast. After a long day of sightseeing relax in our indoor pool and spa. Stay in touch with family and friends with our free high speed internet access. Feel at home in all of our brand new rooms which offer 32 inch flat panel LCD televisions refrigerator microwave coffee makers and irons-ironing boards. You*ll think you*re in heaven with our Cloud 9 bedding - the Hampton Experience. Also enjoy the peace of mind in knowing that your satisfaction is backed by our 100 percent Hampton Guarantee. Have your next meeting in our state-of-the-art meeting room. Also a fully functional business center is online and available 24 hours with fax printer and copy facilities. 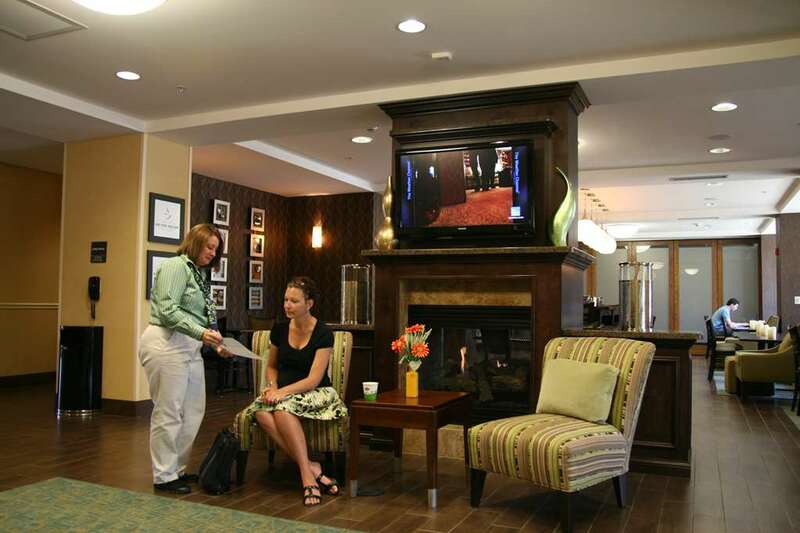 At the Hampton Inn Dandridge our friendly staff looks forward to serving you with a welcoming smile and a helpful hand. We love having you here.